Fight Entropy: Why don't we build more nuclear power plants? 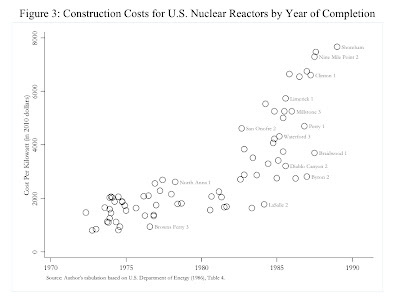 Nuclear plants are incredibly complex machines and cost a lot to build. In theory, the savings is on the back end in fuel costs. 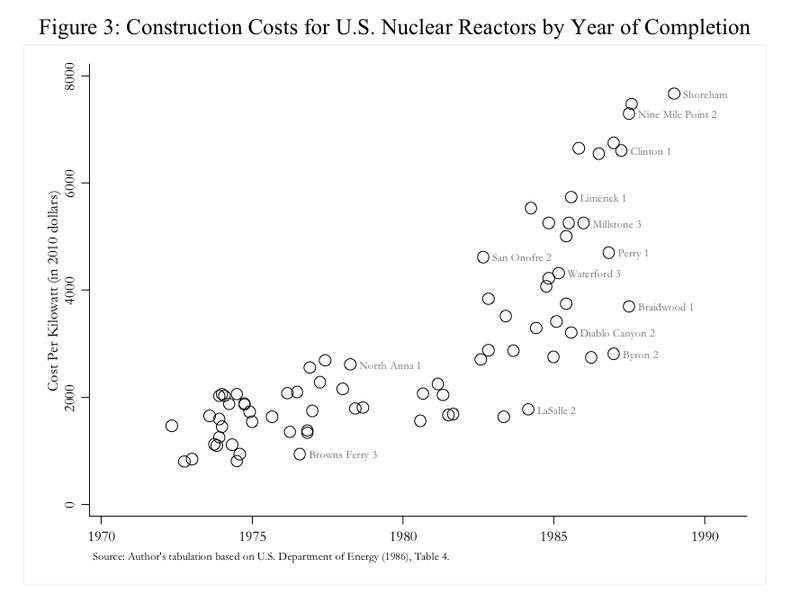 Some of the high construction costs are closely linked to concerns about nuclear accidents, proliferation risk, and the storage of spent fuel. The balancing of these concerns vs. cost is an interesting question that would require someone with economics, psychology, communication and commercial nuclear power experience to unravel. I can't hope to do that, but I can offer a decent introduction to the real world of atomic fun that goes beyond short magazine articles. For an entertaining inside look at how US nuclear plants operate from someone who does it every day, see my free novel "Rad Decision". The plant involved and the climatic event bear some simularities to Fukushima. Free online, no advertisements or sponsors - just google the title or go to my homepage. Written for the lay person. Reader reviews are at the homepage or Amazon. I think we'll make better decisions about our energy future (and their costs vs. rewards) if we first understand our energy present.